Home > Aalto Vases > iittala Aalto Emerald Finlandia Vase - 10"
iittala Aalto Emerald Finlandia Vase - 10"
Inspired by the original Savoy vase, the taller and leaner Finlandia will make a dramatic display with or without flowers. The free-flowing lines of Alvar Aalto's 1936 design are left untouched, but the vase is taken to new heights. Saturated in the alluring jewel tone of the 2016 Emerald color, the 1936 design is as lively as ever. Though the award-winning design's raw beauty seems like an organic occurence, it requires 7 craftsmen, 12 work stages and 30 hours to create just one of these extraordinary works of art. 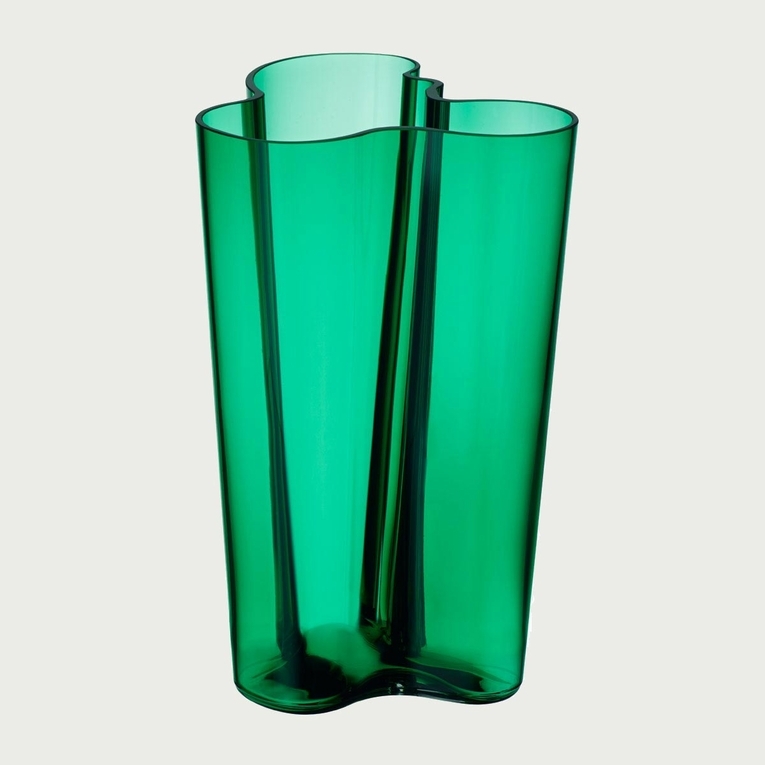 Reviews of iittala Aalto Emerald Finlandia Vase - 10"
Questions & Answers for iittala Aalto Emerald Finlandia Vase - 10"
Shipping Time: See estimated delivery times by location here. Item Packaging: Packed with care in an iittala gift box. Questions: Click here to contact us with any questions. iittala Aalto Cranberry Vase - 6-1/4"
iittala Aalto Aqua Vase - 6-1/4"
iittala Aalto Moss Green Vase - 8-3/4"